A walk between the concrete slabs of the Memorial to the Murdered Jews of Europe, or Holocaust Memorial for short, is a harrowing but ultimately peaceful experience. The memorial includes about 3,000 smooth concrete slabs, called the Field of Stelae, stretching out across five acres (two hectares). It's an essential reminder of one of humanity's darkest episodes: the systematic murder of millions of Jewish people during the reign of the Third Reich in the 1930s and ’40s. The memorial site has a very different atmosphere from the bustle of the city. It’s a quiet, still place, which encourages solemn reflection. This is particularly striking once you reach the center. Here the stelae are so high they block out most of the traffic noise. Although the slabs might look like stepping stones, it's considered inappropriate to walk on top of them. Wander down the paths between the slabs, which are different heights and undulate with the rise and fall of the ground level. The memorial opened in 2005, with the design chosen by competition. There is no plaque with an official explanation of what the memorial means. This was architect Peter Eisenman’s intention. Do the concrete slabs represent different people? Are they gravestones? Take a moment to examine the symbolism and come to your own conclusions. Underneath the Holocaust Memorial is the Information Centre. It includes a room dedicated to listing each name of the Jews murdered during the Holocaust. The Information Centre opens at different days and times during the year. It is closed on some public holidays. The Field of Stelae is open 24 hours a day. Entry is free, but donations are welcome. Guided and audio tours are available for a small fee. Adjacent to the Brandenburg Gate, the memorial is a short walk from Potsdamer Platz and Brandenburger Tor and Potsdamer Platz U-Bahn stations. Why don't you consider buying a Private Third-Reich Walking Tour? It's one of the most popular experiences on offer here. Check out our Berlin things to do page to discover even more activities while you're in the area. 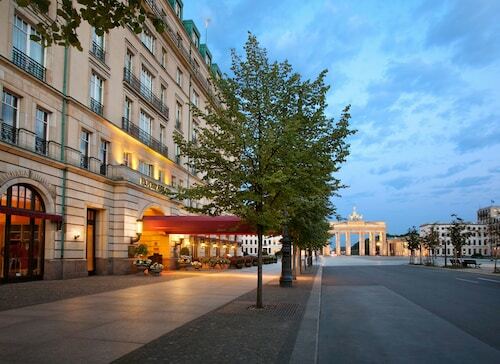 In Mitte, Berlin's historic district, the hotel is located where boulevard Unter den Linden meets Friedrichstrasse and is close to Brandenburg Gate, Gendarmenmarkt, Museum Island, and Potsdamer Platz. 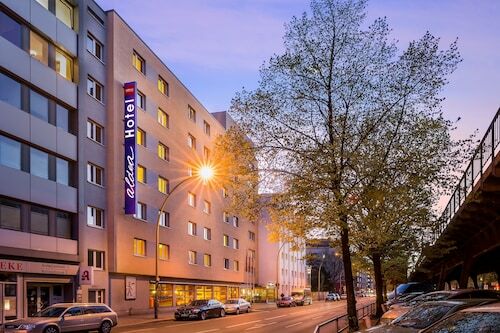 This modern hotel is located in the centre of Berlin, 500 metres from the Reichstag and 50 metres from the historic Brandenburg Gate; the State Opera House is one kilometre from the hotel. 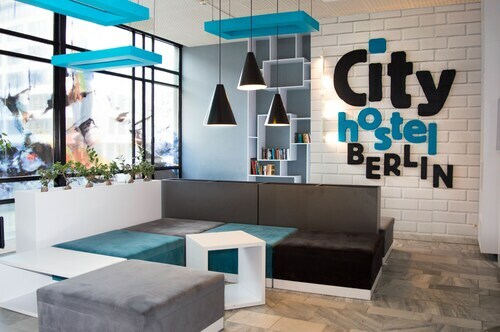 Located in Mitte, this hostel is within a 10-minute walk of Friedrichstrasse, Checkpoint Charlie, and Gendarmenmarkt. Checkpoint Charlie Museum and Mall of Berlin are also within 10 minutes. Mohrenstrasse U-Bahn and City Center U-Bahn are within a 5-minute walk. 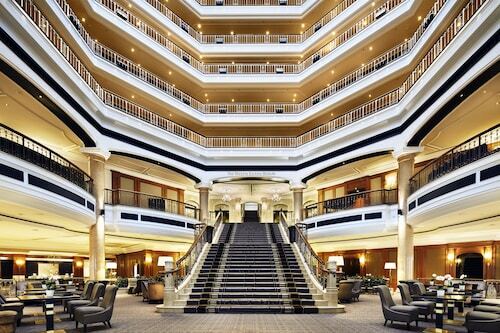 Located in Mitte, this luxury hotel is within a 15-minute walk of German Chancellery and Reichstag Building. Friedrichstrasse and Friedrichstadt-Palast are also within 1 mi (2 km). Central S-Bahn is only a 2-minute walk and Berlin Central U-Bahn is 3 minutes. 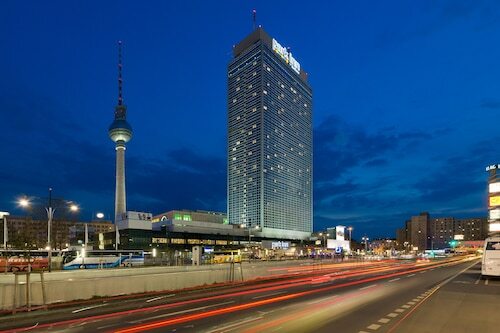 Located in Mitte, this hotel is steps from Trabi-Museum, Friedrichstrasse, and Checkpoint Charlie. Gendarmenmarkt and Potsdamer Platz are also within 15 minutes. City Center U-Bahn and Kochstrasse U-Bahn are within a 5-minute walk.